Date of Birth: Born in 1962. Boman Irani is a photographer by profession. He started his career as theatre artiste with a cameo in Alyque Padamsee’s play “Roshni”. Then Boman Irani portrayed Mahatma Gandhi in the Feroz Abbas Khan play “Mahatma vs. Gandhi”. This play explored Gandhi’s troubled relationship with his eldest son Harilal Gandhi. 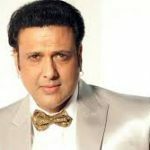 Boman made his debut in Bollywood with the film “Josh”, but shot into fame as eccentric Dr. J. C. Asthana with the film “Munnabhai M B B S”. He has also appeared in the film “Lage Raho Munnabhai” as Lucky Singh. Since then he has done many films playing a variety of character and supporting roles ranging from comic roles in films such as “Main Hoon Na “, “Waqt” and “Khosla Ka Ghosla ” as well as serious roles in “Lakshya”, “Veer-Zaara” and the English language film “Being Cyrus”. His roles have ranged from father, friend, uncle, doctor, corrupt businessman, eccentric murderer and police officer. Boman Irani has also featured in advertisements of Fanta, Krackjack, TATA Indica and many more. Dhan Dhana Dhan , Heyy Babyy, Honeymoon Travels Pvt. Ltd., Eklavya, Don, Lage Raho Munna Bhai, Yun Hota To Kya Hota, Khosla Ka Ghosla, Shaadi Se Pehle, Being Cyrus, Bluffmaster, Kal, Maine Gandhi Ko Nahin Mara, No Entry, My Wife’s Murder, Page 3, Veer-Zaara, Lakshya, Main Hoon Na, Munnabhai M.B.B.S. 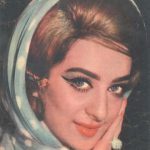 and Darna Mana Hai. 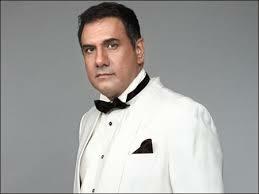 Boman Irani follows Zoroastrianism and hails from the Gujarati speaking Parsi community of Mumbai, Maharashtra.